Did you have to read Shakespeare in school? Boring, wasn’t it? Especially those pesky stage directions in bracketed italics – [They fight.] Where is the fun in reading that? Shakespeare’s plays are intended to be performed by actors and seen by audiences. 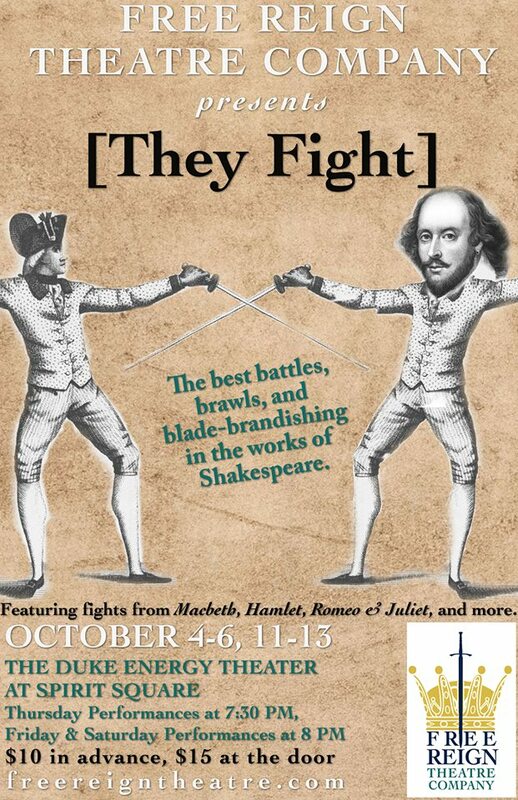 Free Reign Theatre is proud to bring you [They Fight]: the best battles, brawls, and blade-brandishing in the works of William Shakespeare. This engaging show will have you cheering for Hamlet, hissing at Tybalt, and gasping for Macbeth. Intended for all ages, this fast-paced show is comprised of the most popular Shakespearean scenes and some lesser known works that have plenty of sword-slinging gusto. [They Fight] is a blended atmosphere of comedy and drama, and an evening of combat theatre you won’t soon forget! "Hear ye, hear ye! You think the royal wedding is a big deal? How about a Coronation?" ​Free Reign Theatre Company was proud to partner with some favorite NoDA acts to start-up our community outreach. 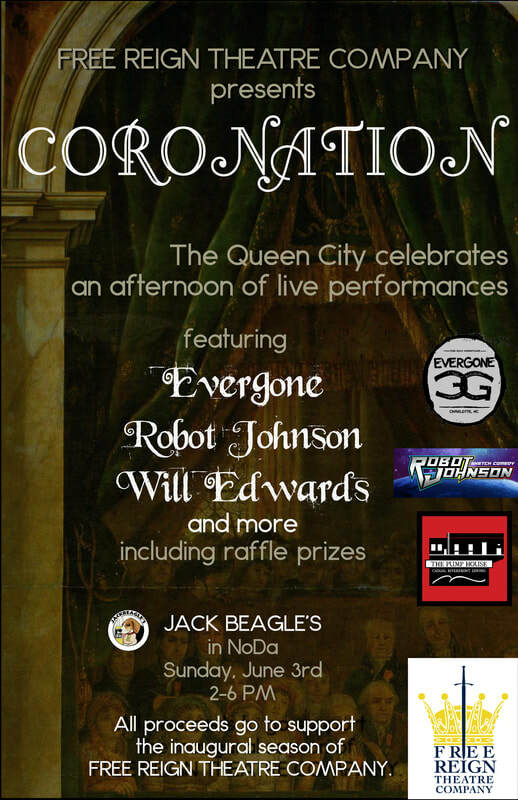 We produced an afternoon of free live entertainment featuring Evergone, Robot Johnson, Will Edwards, and Jade Moore. Many supporters entered to win raffle prizes provided by our favorite local businesses.